So we have talked about Periodontal Disease before briefly. Today I would like to revisit and also talk about treatment for it. According to the American Academy of Periodontology and the 2003 World Health Organization report around 80% of adults over 35 suffer from periodontal disease. Periodontal Disease is a bacterial infection resulting when food, bacteria and tartar are not sufficiently cleaned from the teeth. Periodontitis occurs when toxins destroy the tissues that anchor teeth in the bone. As gums detach from teeth, pockets form and fill with plaque. Tooth roots are exposed and become susceptible to decay and sensitive to cold and touch. In the beginning, the infection develops along the gumline and when left untreated, it will progress beneath the gums to damage the gums, teeth and bone. 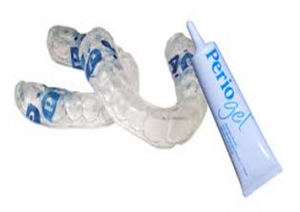 Susquehanna Dental Arts also offers the Perio Protect Method medical devise as a part of our comprehensive services. This periodontics tool delivers prescribed medication directly to the source of periodontal disease. The Perio Trays are worn as a supplement to regular brushing and flossing and the treatments are modified as healing occurs. Most patients are able to avoid gum surgery. Worn for minutes each day, the trays fit right over your teeth and allow an effective concentration of medicine to be delivered to the infection. It can’t work if you don’t use it. In order for the Perio Protect Method to be effective, you need to follow your dentist’s instructions. Scientists determined that after 17 days of this treatment 99.98% of the disease-causing bacteria were killed. Susquehanna Dental Arts utilizes laser gum cleaning treatment to remove plaque and tartar from affected teeth. The laser gum cleaning procedure removes infection from gum tissue and reshapes it therefor reducing pocket depths when there is pocketing. The laser also decontaminates the deep pockets that are inaccessible to routine brushing and flossing. When deep pockets between teeth and gums are present (4-6 mm or greater), it is difficult for the dentist to thoroughly remove plaque and tarter. 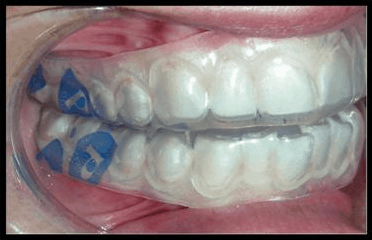 Patients can seldom, if ever, keep these pockets clean and free of plaque. Consequently, surgery may be needed to restore periodontal health. Bone surgery may be needed to rebuild or reshape bone that has been destroyed. A gingival graft may be used if extensive gum tissue has been lost around the tooth root. Posted in Informational and tagged bacterial infections, gingival graft, Perio Protect Method, periodontal disease, periodontal health on March 16, 2016 by admin.